One thing quickly discovered when doing paranormal or historic research is how often a location is labeled as 'haunted' without any substantiating data. 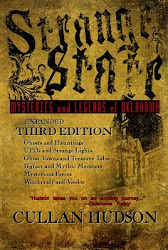 In a recent project identifying some alleged haunted Oklahoma City locations this was clear. 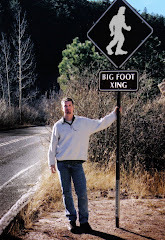 Websites provided a long list of sites where strange thing had occurred but most fall into the realm of urban legend. Most urban legends are identifiable by their lack of context, there is no reason or history related to the observations reported and there is a distinct vagueness about what occurred and what was seen. 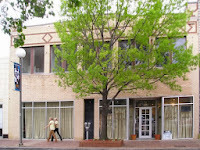 One such location is a privately owned building on Main street in downtown Oklahoma City. 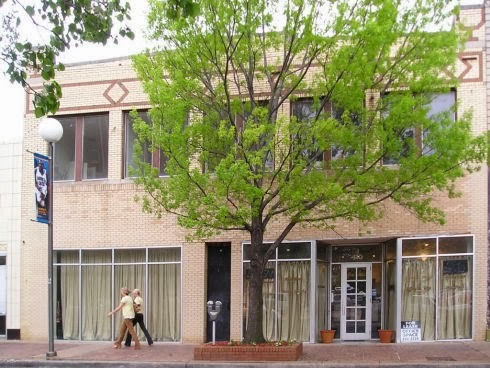 The building at 410 Main (4081/2) was the site of the Wren Hotel and a 1930s shoot out with local police. J. Ray O'Donnell, was caught in a 'clean sweep' move by local police who were arresting suspicious types looking for a companion of the famed Bonnie and Clyde, local known criminals, and miscreants. O'Donnell resisted with a weapon, and though he had no local record, battled it out with police until local policeman turned FBI marksman, D. A. Bryce shot and killed him. No record has been found indicating an explanation for the man's deadly response. Over the years the hotel / boarding house changed names and hands. Nestled between Hudson and Walker the hotel there had begun life as The Swan before 1910, but the Howard, the Albany and the Wren incarnations followed. A reoccurring report from individuals spoken to over the years indicates that there have been many stories of footsteps heard from the second floor (even when vacant). One individual indicated he had felt a phantom bullet shoot past him as if the gun play was being reenacted. Find out about other lost or forgotten Oklahoma City hotels HERE.